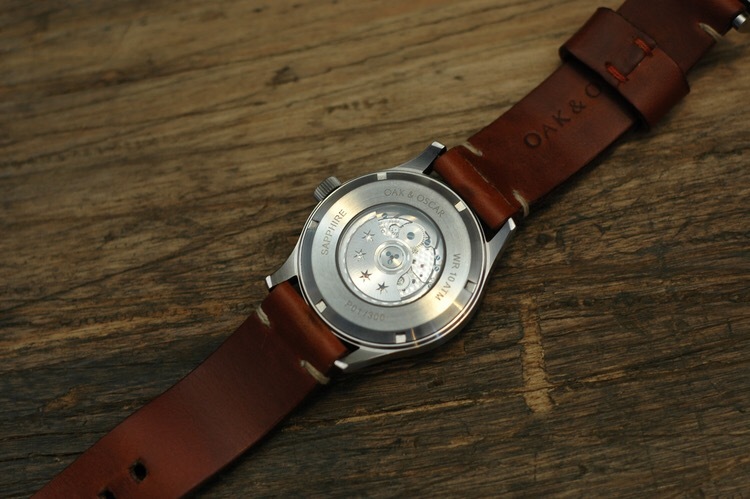 We do love a brand that describe stuff with passion, and that’s exactly what Oak & Oscar do. How did we spot these guys? Attention to detail is at the heart of the Oak & Oscar ethos. Each element of the watch has undergone careful scrutiny and consideration. 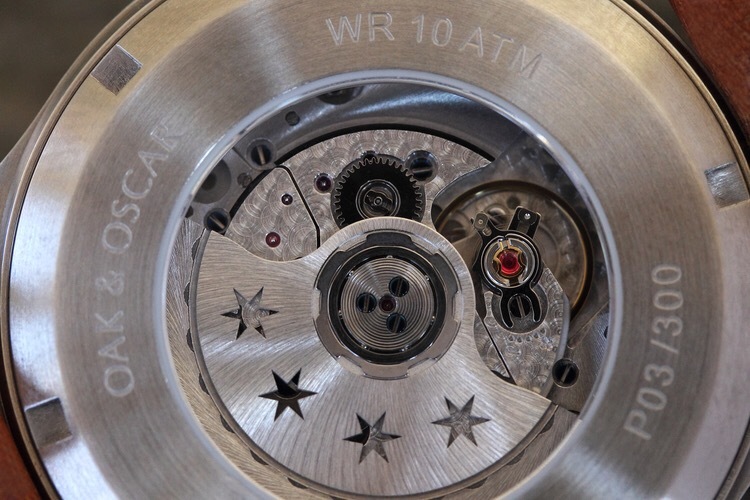 You’ve never seen a dial like this before; countless hours were invested to tweak and tune the placement of each detail. The numeral 8 alone required almost 80 hours of design time to ensure that it didn’t resemble a military stencil, and the placement of the counter balance on the seconds hand perfectly eclipses the logo on the dial. 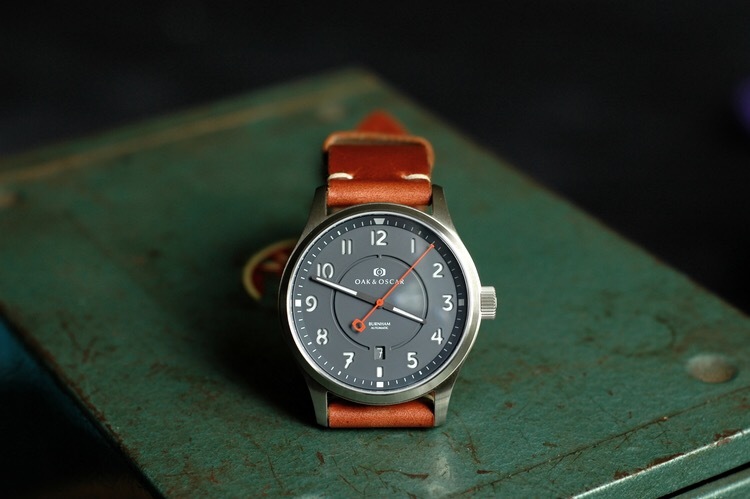 The list goes on; color-matched date wheel, hash mark on the numeral 7, inner dial ring, lume color, custom case shape, twin strap holes, detailed rotor design and a couple other hidden details. Every component of an Oak & Oscar product is developed and examined with the same level of scrutiny. Chase didn’t simply walk into Horween, one of the highest quality leather tanneries in the world, and nonchalantly grab leather off the rack. Instead, he traversed a year-long process, selecting the perfect combination of colors to compliment the seconds hand, thickness of hide for comfort and durability and just the right amount of pull-up for balance of stretch and rigidity. And of course, that meant he had to special-order nearly 1,000 square feet of custom-dyed leather and then impatiently wait for the better part of a year. Why? Because he won’t settle for something less than ideal; adequacy is not an option. And of course we have the tech specs, size wise it looks nice, and the engine behind it looks good. 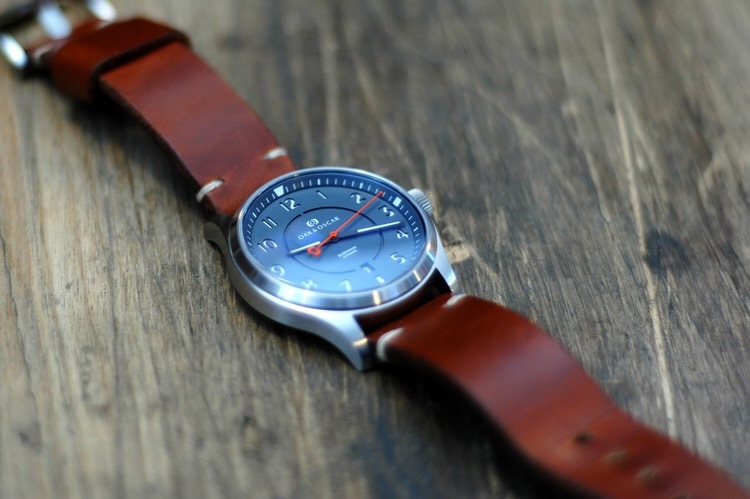 The first watch was sold out, so we will have to wait to get our hands on one, but we will watch with interest. 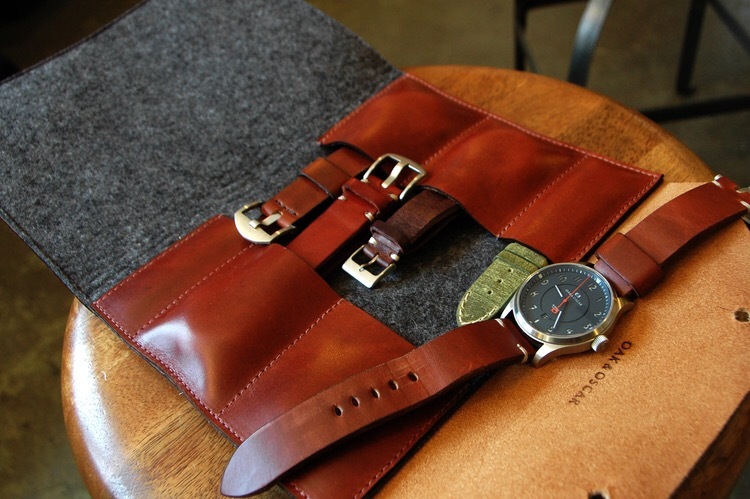 And we LOVE the wallet and straps options – nice work guys.